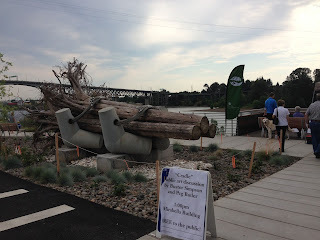 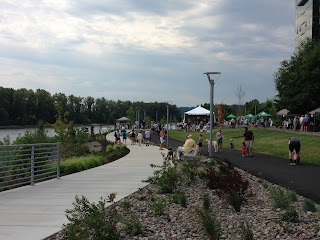 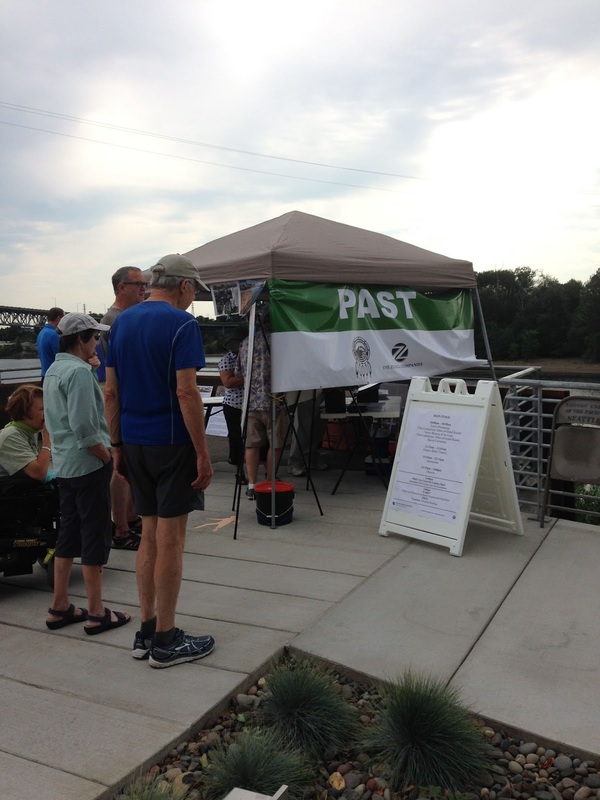 The long-awaited South Waterfront Greenway is open! 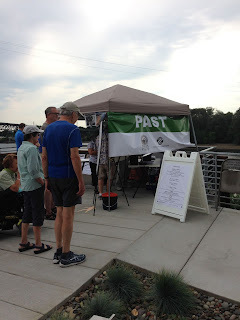 The opening celebration took place under beautiful skies, hosted by Portland Parks & Rec and South Waterfront Community Relations. 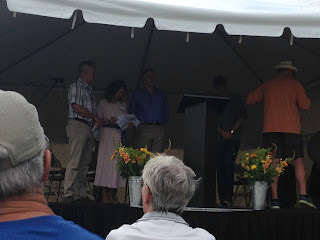 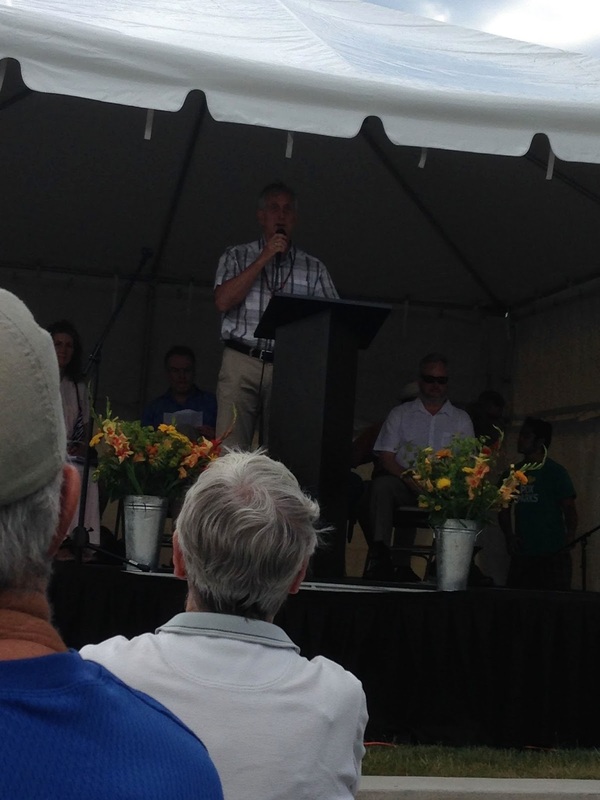 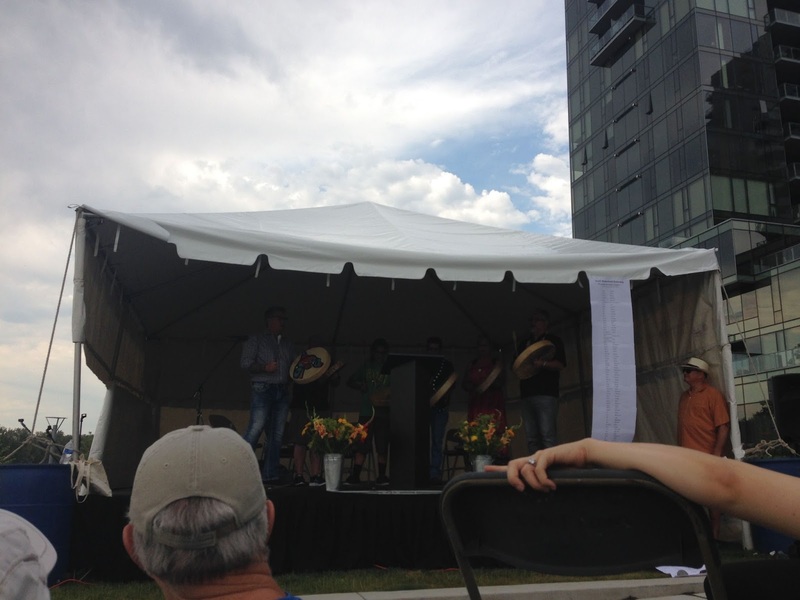 The event opened with Native Drumming and a Blessing of the Land, followed by words of *restoring, planning & completion* from our Mayor Charlie Hales. 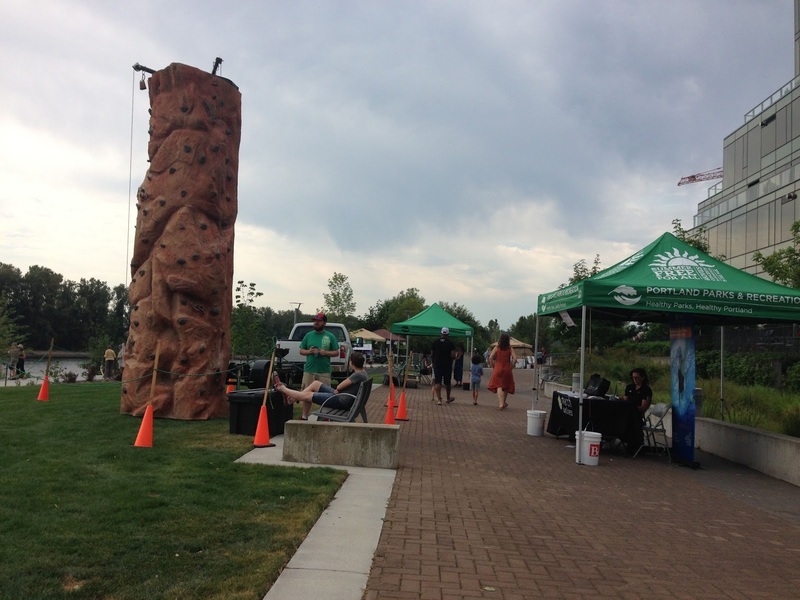 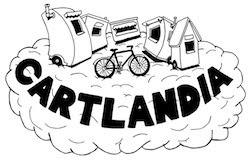 The day will also feature a rock climbing wall, activity booths hosted by local businesses, a very special Audubon Society of Portland demonstration, and a visit from our local Umpqua Bank's Ice Cream Cart at noon!